Finding the perfect Mother's Day Gift for your Mom can be a tough decision. That's why we have searched for the perfect gift for you to surprise her! Please see below for the best gift ideas! Mother's Day is around the corner so make sure to pick your gift fast! Looking for something glamorous to give your Mom? ViVI, which stands for vision, inspiration, value and independence has unique jewelry items that are under $50 a piece! ViVI is the ultimate online retailer for glamorous jewelry at an affordable price. ViVl has something for all types of woman, from sophisticated and delicate to chunky and statement-making. 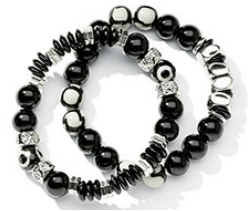 We love the Yin Yang Beaded Bracelets and think they make a perfect gift for a stylish Mom! Why not buy something for your Mom that promises soft, glowing skin in a flash! Scalisi Cleanser and Exfoliator was designed to improve, prevent and repair visible wrinkles at the same time, this hybrid cleanser/exfoliator utilizes gentle micro beads to remove impurities and contains hydrating botanicals like jojoba, macadamia nut and sunflower oils. Known for luxury and style, Swarovski has been the leader in crafting beautiful crystal jewelry and accessories. Essential design and an easy-to-wear shape and define the Edith (SK0077) cat-eye sunglasses, crafted in fine acetate. The individuality of this timeless style lies in the elegant decorum showcased in the sides of the front and part of the temples: prestigious baguette crystals arranged in a row, create a bright, graphic pattern that immediately reflects the world of Swarovski. Give your Mom the gift of convenience with Sarah McNamara's Miracle Skin Transformer Triple Active Night Treatment. This unique cream combines the power of 3 multifunctional night creams into one jar! There is no need for separate creams to exfoliate, moisturize, fight daily environmental damage, and deliver powerful anti-aging benefits. 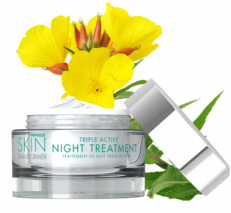 Miracle Skin Transformer Triple Active Night Treatment helps diminish the appearance of lines and wrinkles, improves skin's elasticity, and helps firm and tone overnight! 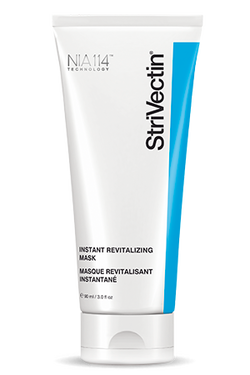 One of the best gifts this Mother's Day is Strivectin's Instant Revitalizing Mask. This is an intensely nourishing 15-minute facial mask that restores clarity and immediately illuminates your complexion. An effective dual-action complex of skin brighteners and Alpha Hydroxy Acids( AHAs) helps unify uneven skin tone and promote a smoother, younger looking complexion. Give your Mom the latest perfume by Donna Karan- Liquid Cashmere. As the name suggests, the sheer scent was inspired by the feel of cashmere upon a woman's skin, this fragrance combines Moroccan jasmine, lily of the valley and bergamot with warm undertones of sandalwood, amber and musk. A great way to show you care is to buy something from the heart. Carolee is known for their beautiful quality jewelry. This luxurious genuine freshwater pearl is the quintessential classic for every woman. The timeless elegance of pearls is the perfect look for everyday wear or formal occasions. This 5 Row Neckace is in silvertone and features a lobster claw closure and is 16-18 inch in adjustable length. All Carolee jewelry includes a worldwide lifetime guarantee! Tattoo Bella is a couture line of temporary metallic tattoos. They are the first to introduce glow-in-the dark temporary metallic tattoos. The brand was created by a world traveler that was inspired by different cultures and designs and created a unique set of culturally inspired metallic tattoos. 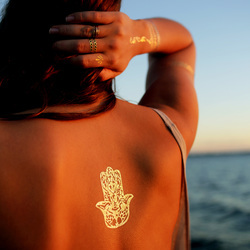 Each design can be placed anywhere on your body and can last up to five days. With so many designs and colors it is very hard to select just one! 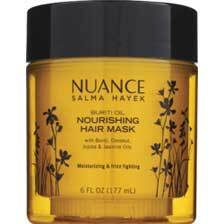 Everyone needs healthy hair including your Mom, Salma Hayek has created a range of quality hair care products and beauty products that are both healthy and affordable. Our favorite is the Buriti Oil Nourishing Hair Mask. Buriti oil is rich in antioxidants, which helps to moisturize and nourish hair. Coconut and Jojoba Oils provide dry or over-processed hair with essential vitamins and nutrients Jasmine Oil is light, non-greasy and helps to tame unruly hair, leaving it feeling soft and healthy looking. The perfect gift for a Mother that has a busy lifestyle is Chic Buds Crossbody Power Purse! Re-charging your phone no longer has to be so difficult! Inside each Stylish Chic Buds Crossbody is a lightweight, ultra-thin battery to recharge smart phones and USB devices on-the-go. This functional companion is always ready for a charging emergency and provides most smart phones with a full charge! The purse also has room for essentials! This is the perfect gift to keep your loved one looking stylish and staying organized! Erno Laszlo is known for high quality skincare products. Our favorite for this Mother's Day is the White Marble Radiance Emulsion Serum. The serum brightens, balances, renews and protects. 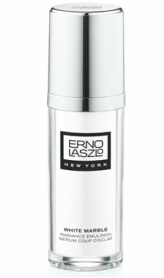 Erno Laszlo's silky, fast-absorbing serum targets dark spots as it delivers antioxidants to defy environmental damage. Working on the surface, and deeper, it halts the causes of dull and discolored skin. ﻿It's very hard to find the perfect gift for your Mom. 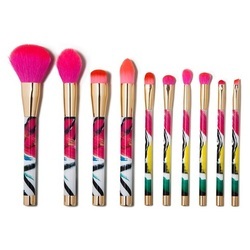 One of our favorites for Mother's Day is Sonia Kashuk's Limited Edition Brush Set. Butter London has an array of beauty products from lipsticks to nail polishes that are perfect for any Mom! What makes Butter London unique is that they use natural butters and oils to deliver moisture with sheer, high shine color. With so many colors to choose from there is a perfect shade for every Mom! Our favorite from their collection is their Butter Tiddly Lippy Lip Gloss. 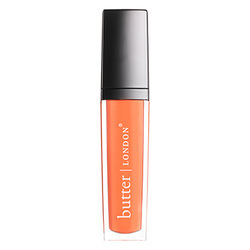 Butter London lip glosses include Vitamin E, Apricot, Avocado, Grape seed, Safflower Oil, Cocoa Seed Butter and Mango Seed Butter for the ultimate in lip moisturization. Murad has a reputation for quality skincare products. They feature an array of products from anti-aging to acne relief. 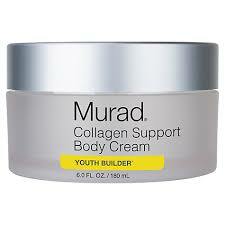 One of our favorite new Murad products is their Collagen Support Body Cream that Intensely hydrates skin with Shea Butter and Jojoba Extract. By applying this formula it triples skin’s moisture upon application and nourishes skin by locking in moisture for 24 hours. Collagen Support Complex helps improve skin’s resilience to give skin a more supple and youthful appearance. ﻿Golden Thread is a luxury jewelry line founded by Jennifer Welker. Each piece is hand-made in the USA and is made in yellow, white and rose gold. The collection consists of necklaces, bracelets and earrings and has been featured in popular magazines and worn by celebrities such as Taylor Swift. 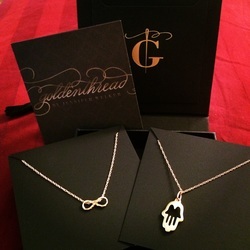 Our favorites from the collection are the Tiny Infinity Necklace ($50) and the Matte Gold Hamsa ($40). These necklaces will surely surprise any Mom! Isaac Mizrahi is a legendary American fashion designer known for his timeless, cosmopolitan style. TRUE by Isaac Mizrahi was created by estheticians, making this the only cosmetics brand that combines spa quality and designer creativity! We love the 6-in-1 skin perfecting serum which creates younger, healthier, and radiant looking skin. This product reduces fine lines, wrinkles, firms, brightens, hydrates, fades age spots and reduces puffiness. This perfecting serum will leave skin rejuvenated, beautiful and youthful-looking! ﻿Does your Mom love unique jewelry? The perfect gift that also gives back is the Wheel of Fortune Ring by Ragini Mittal. 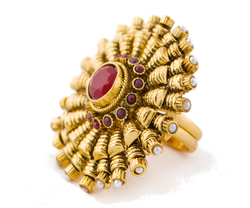 The ring has gold tones, man-made pearls and red onyx stones, it is a definite statement-maker. 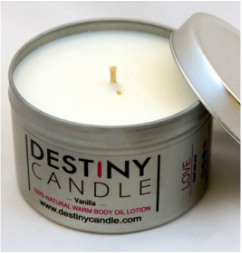 Destiny Candle has a unique line of massage oil candles which smell divine when lit and when they are blown out they double as a massage oil. Each candle includes a surprise ring valued from $10- $10,000- There is a surprise in every candle! A unique gift for your Mom this Mother's Day is a gift of sparkle by Zoya. Zoya has been a leader in natural, formaldehyde-free nail polishes. Zoya has a vast selection of colors perfect for any woman. Their new "Delight" gift set features unique glittery colors like "Rayne" and "Leslie". MCM has been an icon in the fashion industry for countless years. From shoes to purses, MCM has unique, stylish accessories for the modern woman. Our favorite for Mother's Day gift giving is the Visetos Round Reversible belt in MCM's signature monogram print. 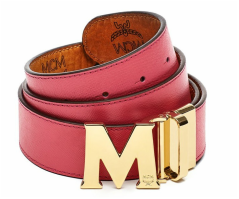 Red leather belt with Cognac Visetos monogram on reverse with a gold “M” buckle. Mehron has a long history of make-up for the performance industry, with over 80 years of experience. With such a high reputation for high quality make-up products we thought it would be essential as a Mother's Day Gift! We love their limited edition Celebre Pro-HD Cream Contour & Highlight Palette, it contains Vitamin E, pomegranate and aloe vera. The Mehron colors blend to accommodate all skin types. Vichy, known for their innovative skin care products spanning over 80 years of experience. Vichy has launched a new generation of anti-aging day care specifically created to counteract Daily Aging, for more youthful-looking skin all day long. 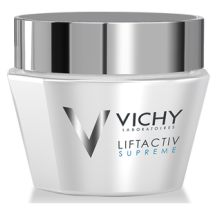 With the Vichy Lifactiv Supreme you can see better results now, tonight, and tomorrow. Designer Tory Burch, who is known for her popular handbags and shoes has recently launched a cosmetic line that is sure to please any Mother! 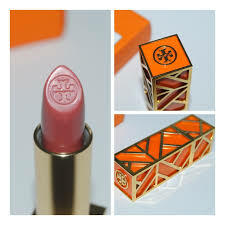 Tory Burch has an array of cosmetics that range from lipsticks to nail polishes in stunning colors. Our favorite from their collection is their Pas du Tout Lip Color, which is scented with notes of cassis, grapefruit and mandarin from the Tory Burch fragrance. Encased in a gold and orange case, it's a super-chic accessory in itself. One of the healthiest gadgets you can get for your Mom this Mother's Day is the Nutri Ninja Ninja Blender with Auto iQ! She can create delicious and nutritious drinks and foods. The blender is pre-programmed to deliver maximal nutrient extraction with its Pro Extractor Blades and intelligent design. 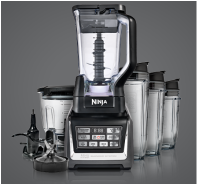 The Nutri Ninja Ninja Blender with Auto iQ offers one-touch intelligent programs specifically designed for each jar attachment. The programs combine pulsing, blending, and pausing patterns that do the mixing and nutrient extraction work for you!